This is an extra page created by my illustrator, Conrad, from our graphic novel, “Hollow”. It is symbolic of the style and mood of the story. 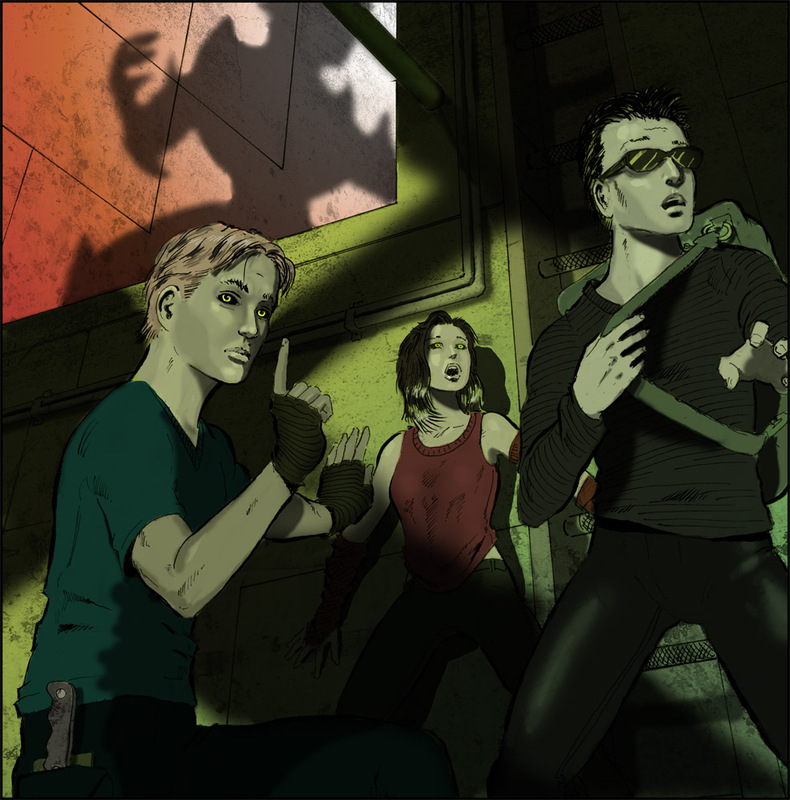 It features three of the main characters (from left to right): Noz, Thenn, and Ruan. The scene takes place in the sewer system of their planet. For more information, please see the “Graphic Novel” tab. Feel free to click on the picture to see an enlarged version! this is nothing like what i expected. it’s wonderful, rather surrealistic, but just this page makes me want to see more! « Are you published yet?